Download Beauty Salon PSD Flyer Template for Free. Designed by pixelsdesign.net (ex) Stockpsd.net ! This Flyer is suitable for any Beauty Salon. Hair Salon, Make Up or other Business Purposes. PSD File is in print-ready 300dpi in A4 standard size. 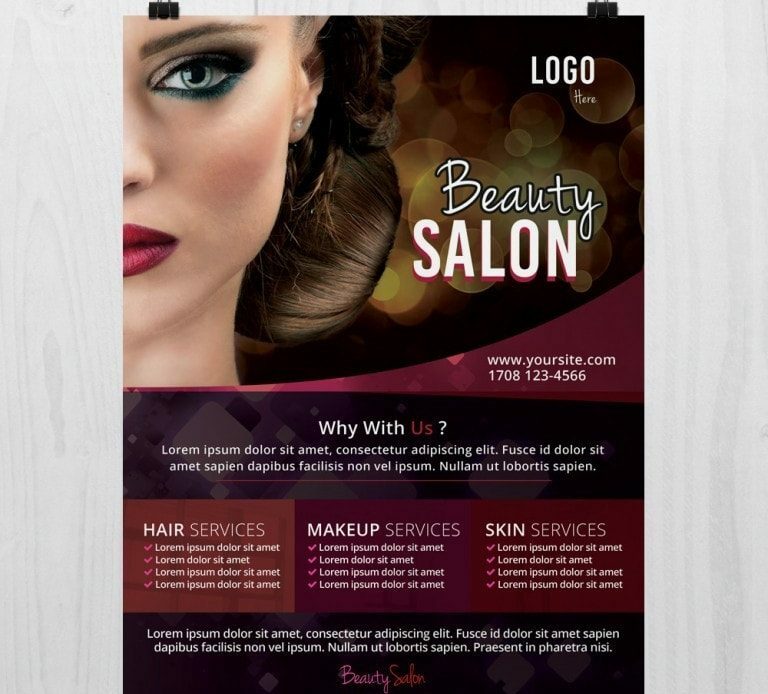 Beauty Salon Flyer is fully layered and very well organized in folders. You can easy change the text or color shapes and replace current image. Please note, image model is not included in psd file, it is only for preview. Beauty Salon will work perfect for any Beauty Salon, Skin Services or other Salon Business.